4 days of walks and visits in a beautiful part of the country. The Mendip Hills are found in the northern part of the historic County of Somerset and only 15 miles from the City of Bristol. The hills stretch from Brean Down in the west to the market town of Frome in the east with a huge variations in character throughout the area. On the southern edge is the cathedral city of Wells with the world famous Glastonbury only a few miles away. Cheddar Gorge is the largest limestone gorge in the country and Cheddar is also famous for its caves. Cheddar is not the only gorge, there are others including Burrington Combe and Ebbor Gorge that all have much to offer. As well as the caves at Cheddar, Wookey Hole Caves has additional attractions of interest to everyone. 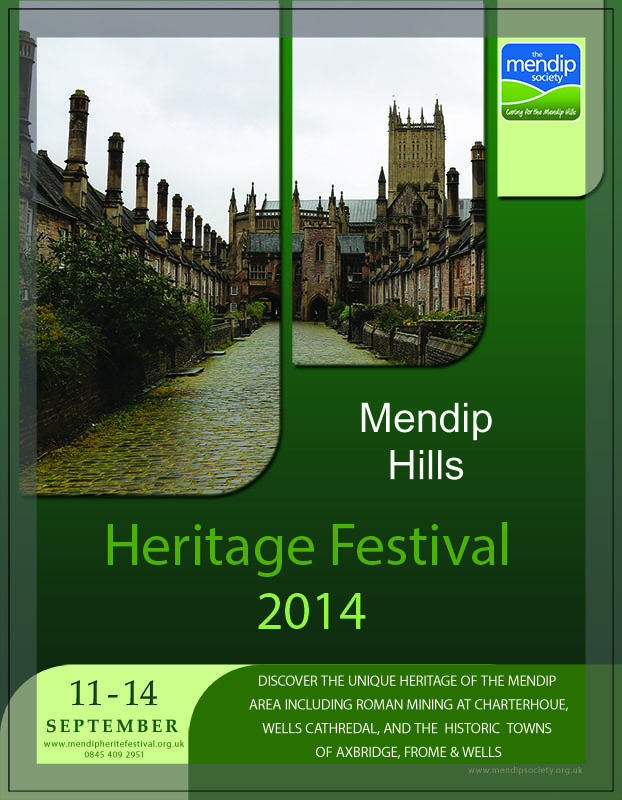 Why not join us on Mendip in September 2014. A programme of heritage walks and visits is on offer, each chosen to highlight the amazing historic interest of the area. Included is a selection of heritage walks around local towns and the Roman mining remains at Charterhouse. Whilst in the area you will be able to take the opportunity to undertake a variety of walks, both long and short, to suit all ages and capabilities. The Society can advise on suitable walks and and the availability of guidebooks. To view the programme and to book online use the link below. or telephone 0845 409 2951.